Our great Literacy Posters are perfect for supporting pupils with grammar, punctuation, vocabulary and handwriting as they Learn to Write at school. They are a popular part of the PTS Educational Posters range and are perfect for creating bright, informative Classroom Displays. 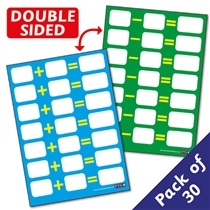 We also have some great ways to reward your learners for progress with their writing, including Writing Reward Stickers and the popular Pen Licence range.